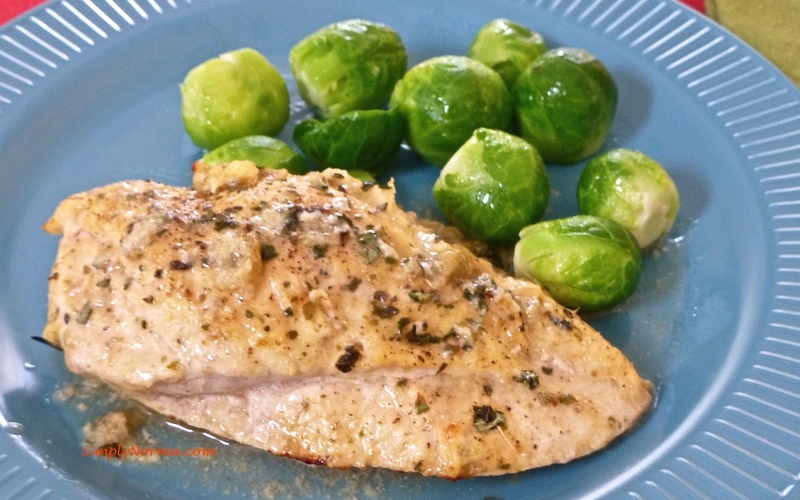 This Coconut Curry Stuffed Chicken Breast recipe is a combination of two recipes that I thought would work well together and they did! Woohoo! It’s always nice when recipes work the first time. The recipe is more primal than paleo because of the cheese but you can leave the cheese out if you wish. 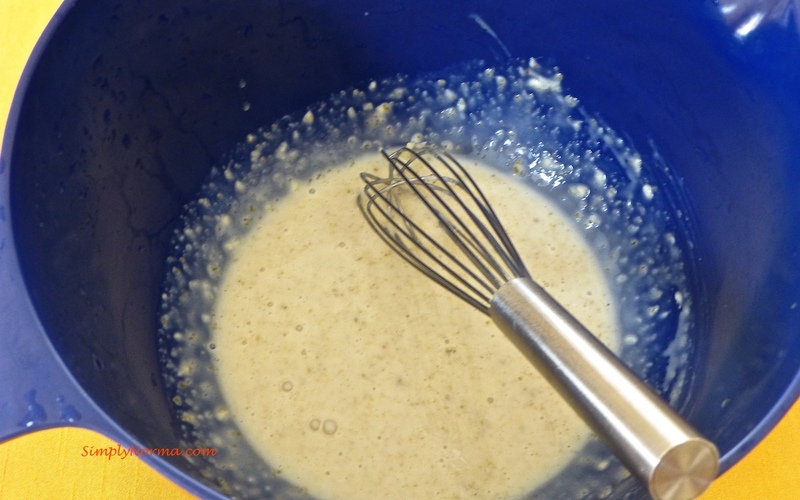 The recipe uses minimal ingredients which is a good thing. 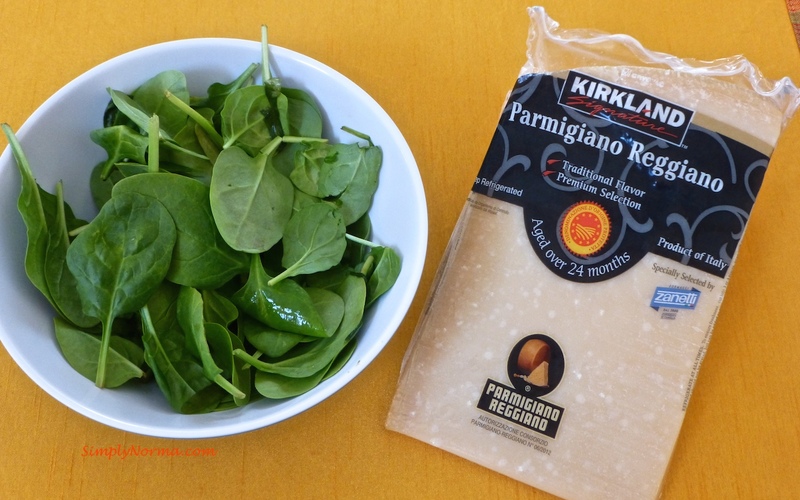 You’ll be combining the coconut-curry ingredients together and then, in a separate bowl, adding the cooked spinach and grated aged parmesan cheese. Then you’ll be baking this for 30-40 minutes covered with aluminum foil. Ready to try it? It’s quite delicious and so simple. Pre-heat the oven to 375° Fahrenheit. 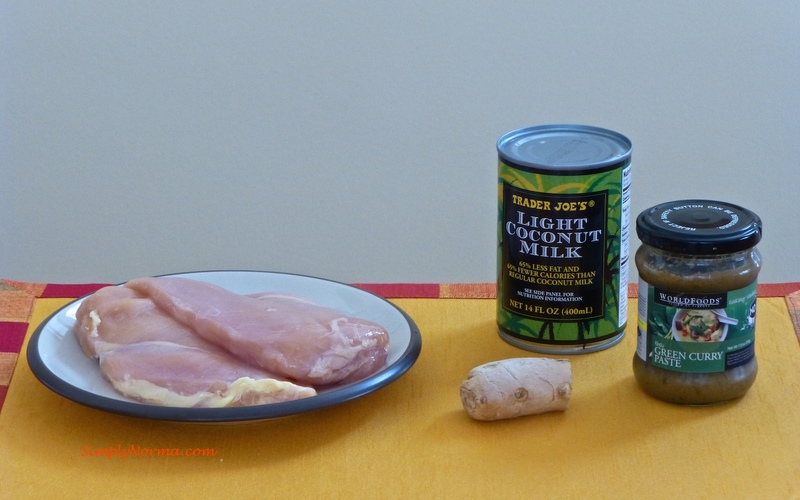 In a medium sized bowl, combine the coconut milk, grated ginger and the curry paste then set this aside. In a medium sized skillet, add a little bit of olive oil to cover the bottom then add the spinach and cook until it’s wilted. 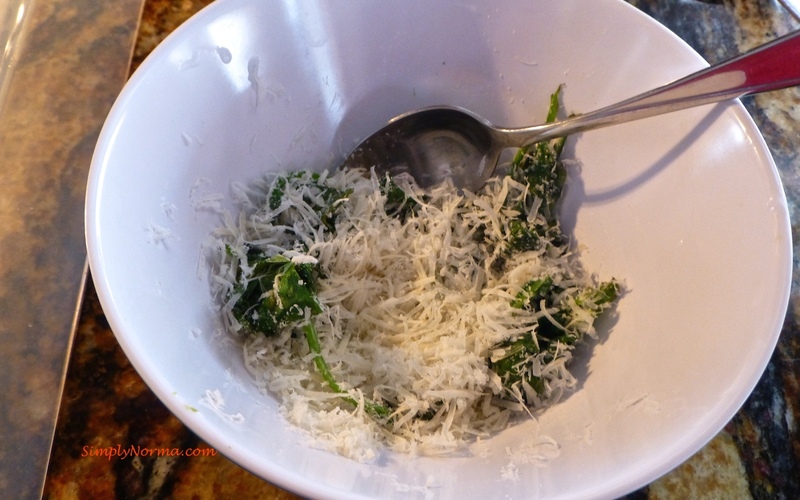 In a another bowl, add the cooked spinach and the grated parmesan and stir it together. 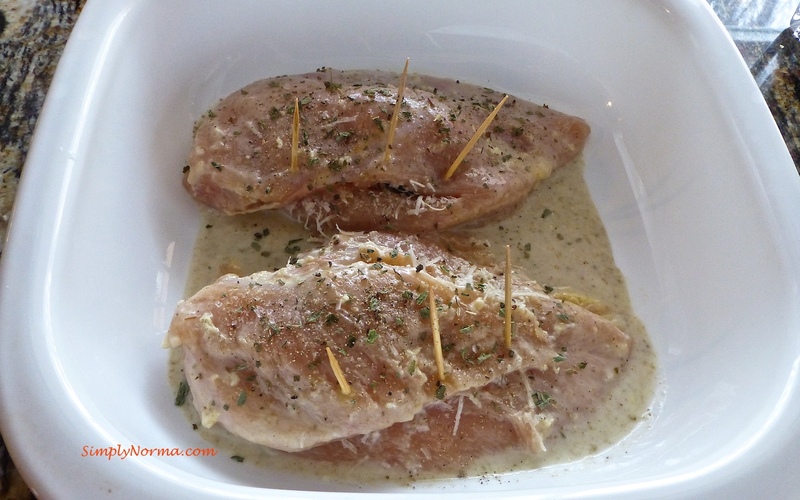 Add the chicken breasts to the coconut milk mixture and coat the breasts on both sides. 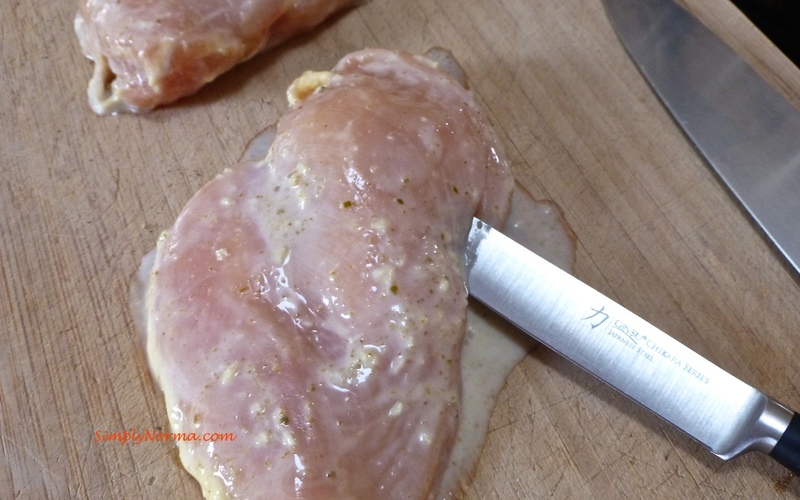 Put your chicken breasts on a cutting surface then slice them in the middle but not all the way through — you just want to make a little pocket. Stuff the chicken breasts with the spinach mixture, use toothpicks to close the ends together then put them in a baking dish. Sprinkle salt and pepper to the top of the chicken breasts (if you wish). Cover the baking dish with aluminum foil (it helps to keep the chicken moist). That’s pretty much it. I served mine with steamed brussel sprouts. Both of these recipes were adapted from the original ones — Spinach Stuffed Chicken Breasts (from allrecipes.com) and Coconut Curry Chicken (from Rachael Ray). Now — sit back and enjoy your meal.